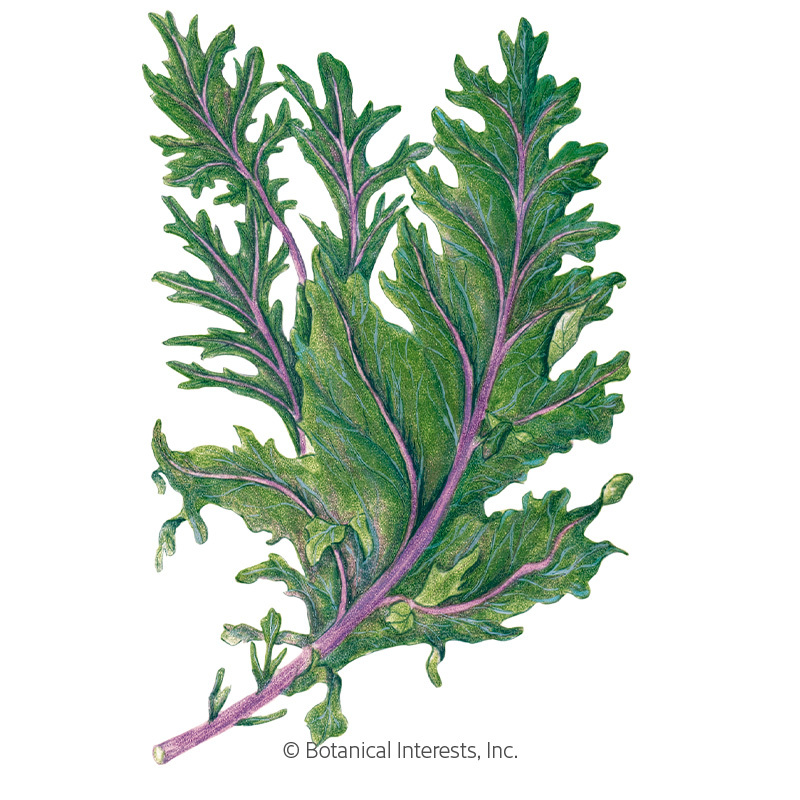 Kale is actually a type of cabbage that doesn't form a head. 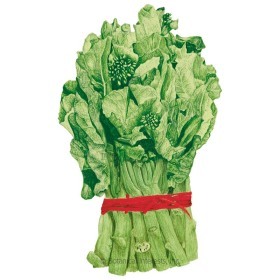 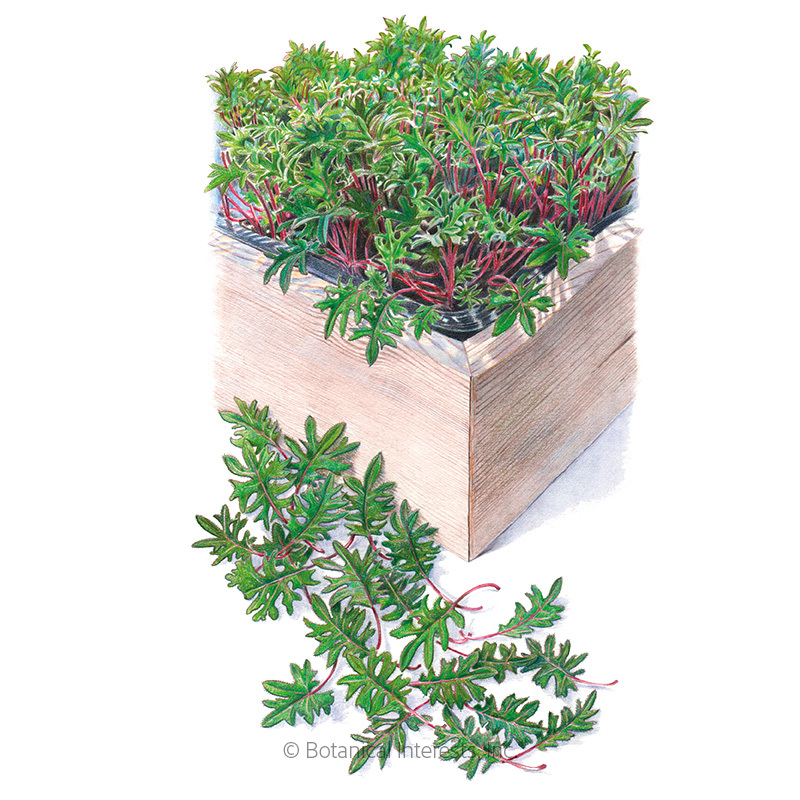 It is one of the most cold-hardy vegetables and can withstand temperatures that dip into the 20s! 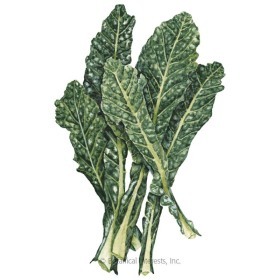 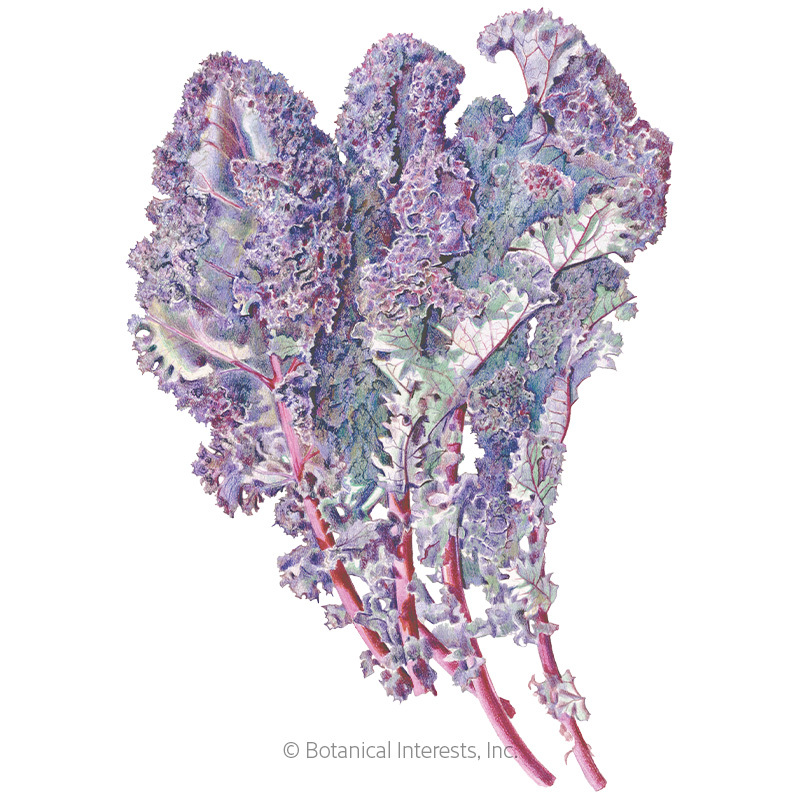 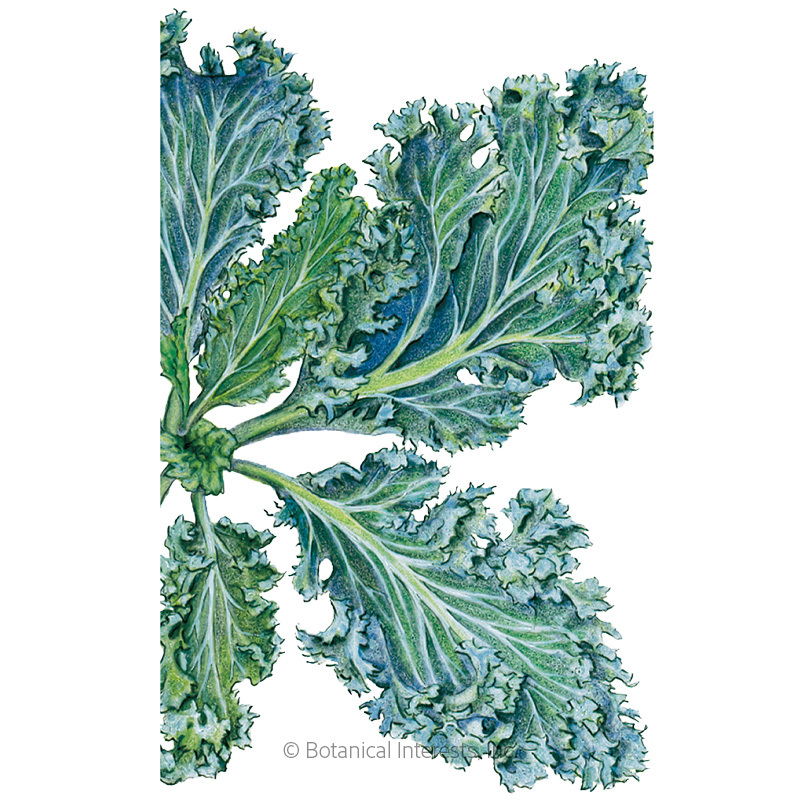 The three most common types of culinary kale include: curly (e.g., 'Redbor', 'Dwarf Blue Curled'), Russian (flat leaf with serrated edges, e.g., 'Red Russian'), and cavolo Nero (also called "dinosaur kale", the Italian lacinato type with dark, savoyed leaves, (e.g., 'Nero Toscana'). 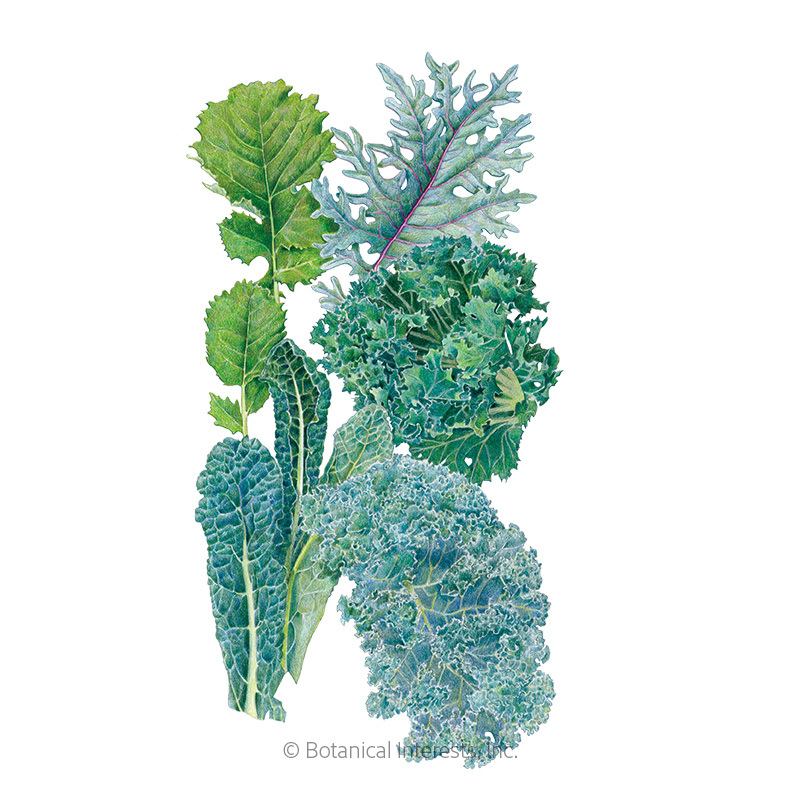 Our kale seeds produce hearty, nutrious plants with maximum flavor.